Lightweight to throw, carry and bounce, Dura Play® toys even float and are easy to clean. 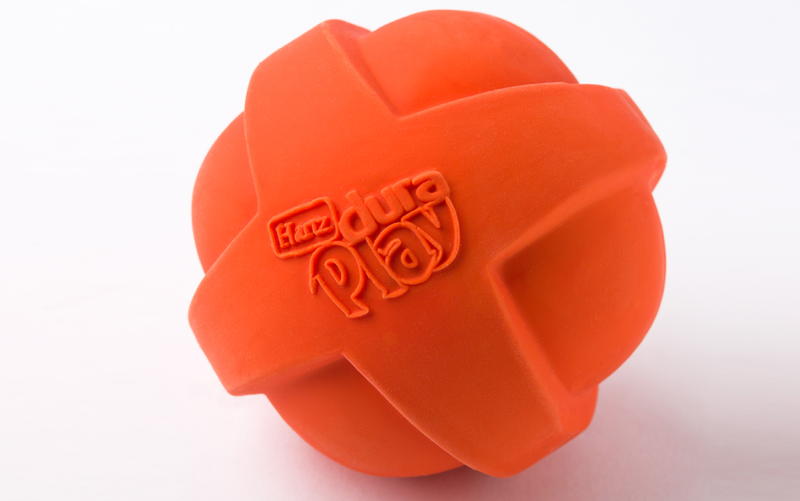 Feel the difference with Dura Play® natural latex dog toys. Each toy provides long lasting fun with a superior foam technology that enhances durability, creating an unmatched chew experience with an enticing bacon scent dogs go crazy for. 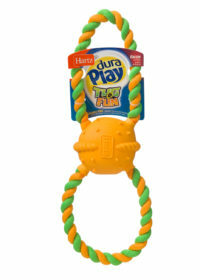 Dura Play toys are soft and flexible to the touch and perfect for dogs of all ages, even senior dogs and teething puppies. 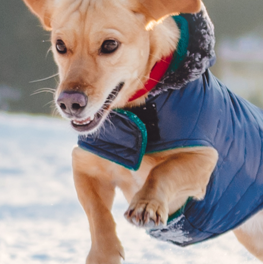 Just like humans, dogs like to play in different ways, and we as pet parents are attuned to their needs. 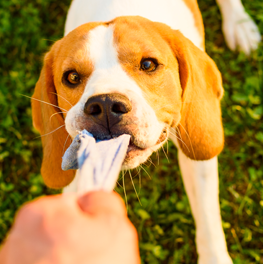 Hartz has extensively researched and identified four primary play patterns: Toss & Retrieve, Tug, Chew and Comfort & Security. 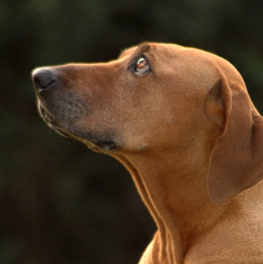 Some dogs may have one favorite way of playing, others alternate among several types of play. 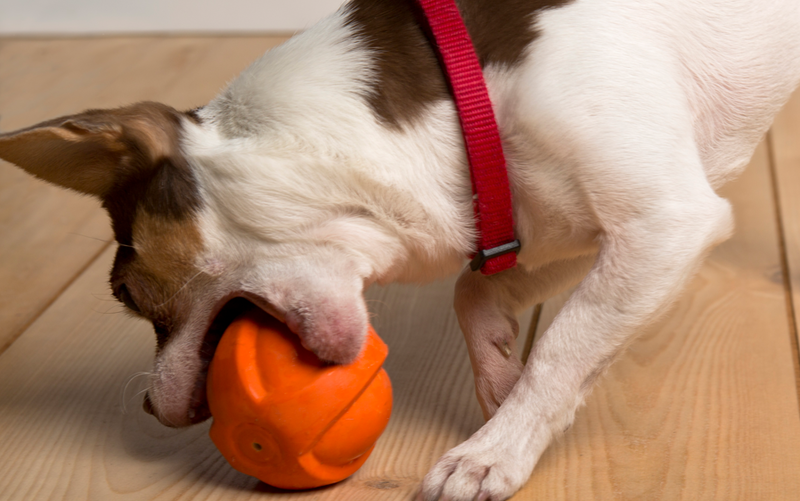 However you decide to incorporate play into your dog’s daily routine, Hartz has created the perfect toy to get Fido’s tail wagging! 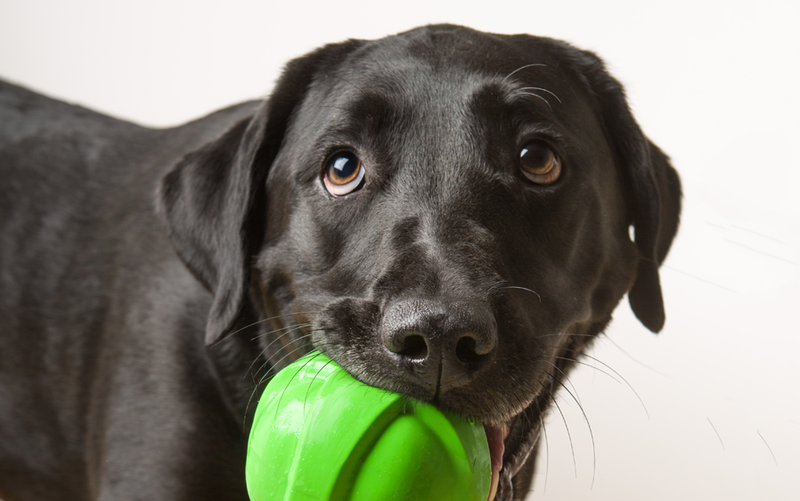 Exterior is made of firm, natural latex for durability; interior consists of a superior foam technology for a chewier, bouncier toy with an irresistible squeaker. 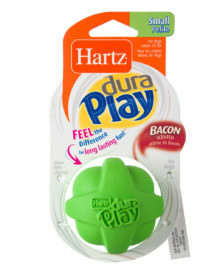 Enjoy a game of fetch with Hartz Dura Play. True to their name, these durable toys come in fun shapes are made of natural latex on the outside, with special foam filling on the inside, making them light to bounce around indoors and outside. They even float in water!